Two newly appointed female members of the Saudi Shura Council met their counterparts in the U.K on Tuesday. The meeting took place at the British houses of Parliament. The Saudi Shura council delegation visited London upon an official invitation from the British parliament. More than eight meetings with different parliamentarian committees took place during the three day visit. The newly appointed female members of the Shura Council, Nihad al-Jishi and Thuraya al-Arrayed, were part of a historical visit to a parliament building that has a long and rich tradition at the heart of British democracy. “This is the first visit abroad with His Excellency the president of the Shura council. 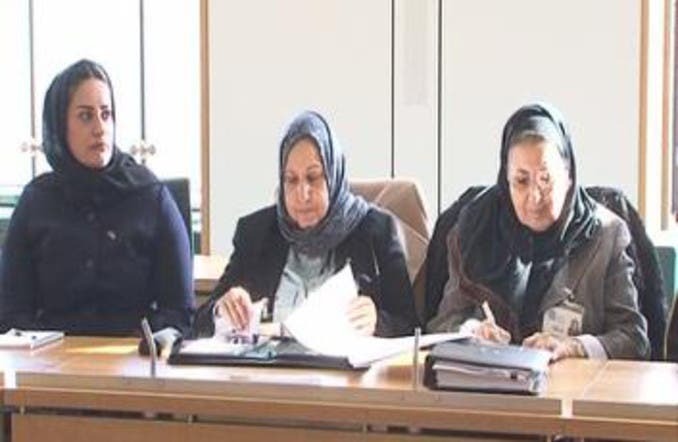 The selection of the members was very quick to enter the parliamentary world and this shows the serious efforts by the Shura council to involve women,” said Jishi. The delegation, headed by Sheikh Abdulla bin Mohamed, held talks with many government and parliamentarian officials on ways to share experiences and strengthen ties between the two countries. The United Kingdom sees female membership of the Shura council as a milestone for the reform of women’s rights in Saudi Arabia. “We are following the reforms. The admission of the appointment of 30 women to the Shura council is very much welcomed and it shows important understanding of the changing world in which the Kingdom is now operating. What is important is that this change came from his majesty. We think that this bodes very well for the future,” Alistair Birt, the UK’s Middle East and North Africa minister, said. The two Saudi women Jishi and Arrayed met their counterparts to discuss women’s issues, education and health. “There are many files about women and the nation in general; our role in the Shura Council is to be part of the debate about every issue raised in the Council. We have been distributed in three women committees, and our work will be within the files that will be discussed, where women’s voices should be heard,” said Arrayed. Saudi Arabia and the United Kingdom have long been close allies, and the breadth and depth of Britain’s relations with the Kingdom continue to increase. The Saudi ambassador, Prince Mohamed Bin Nawaf, said this visit allowed the British learn about the work of the Shura council.